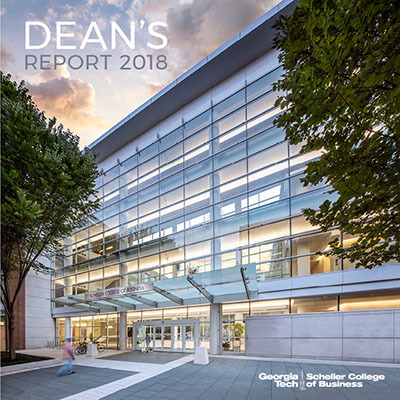 It is with a great sense of pride that I share the wonderful accomplishments that Scheller College of Business at Georgia Tech has made over the course of the year. As we continue to gain traction and momentum surrounding our strategic plan, we celebrate the year’s many accomplishments. These include Financial Times Jones MBA Career Services #1 ranking, faculty thought leadership expressed in 72 published research papers, national business case competition wins, additional MBA dual degree offerings with Georgia Tech College of Design and M.D./MBA with Morehouse School of Medicine, as well as designation as a UN Regional Centre of Expertise on Education for Sustainable Development. Our stellar faculty, student, staff, and alumni received numerous awards and recognition including Carnegie Fellow, Woman of the Year, 40 under 40 accolades, and more. This spring, our namesake and gracious benefactor, Mr. Ernest Scheller, Jr., spent time interacting with students and attending final case presentations including Denning T&M (Technology & Management), TI:GER (Technological Innovation: Generating Economic Results), and the MBA strategy practicum. Thanks to the efforts of our strong team, incoming classes across all programs reported our highest number to date of underrepresented minorities, women, military, MBA dual degrees, and Georgia Tech double jackets. Additionally, we have made significant contributions in the Atlanta community and beyond. We continue to expand on our key differentiators by leveraging our talent and thought leadership to build an even stronger entrepreneurial and innovative ecosystem. Moving forward, we will continue to support our world-class faculty, dedicated staff, and talented students by providing thought leadership opportunities, refining our curriculum to meet future workforce demands, strengthening our corporate and community partnerships, enhancing our alumni engagement, and more. 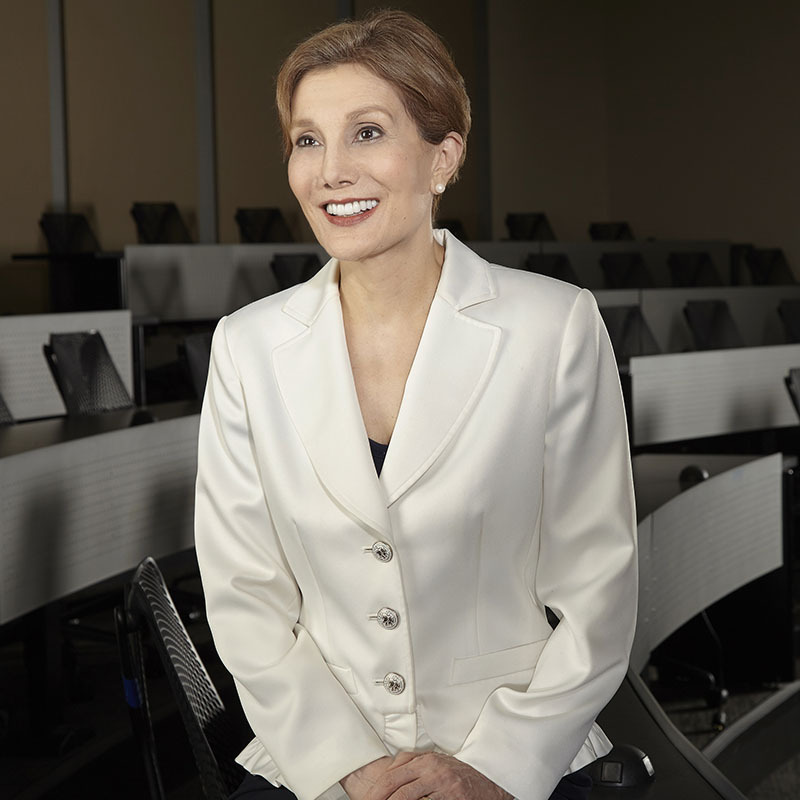 There is much to be done and we welcome your interest, feedback and partnership as Scheller College works to successfully transform business education with cutting-edge research and in developing principled leaders with the unique capability of seamlessly co-mastering business and technology.